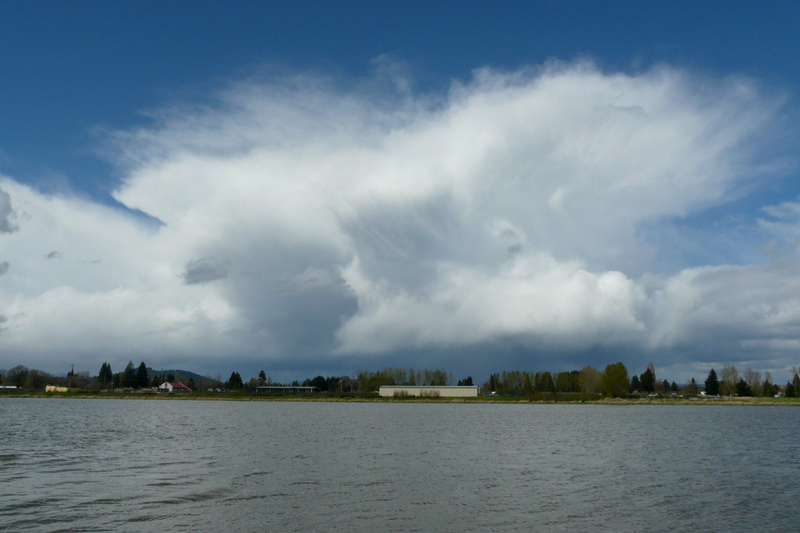 After the wettest March on record, April has provided a few sunny days to help awaken us from our rain-induced torpor. I made a quick trip out to Fernhill Wetlands to look for the Swamp Sparrow that has been reported there. Between the sunbreaks, I still had to dodge a few passing squalls. 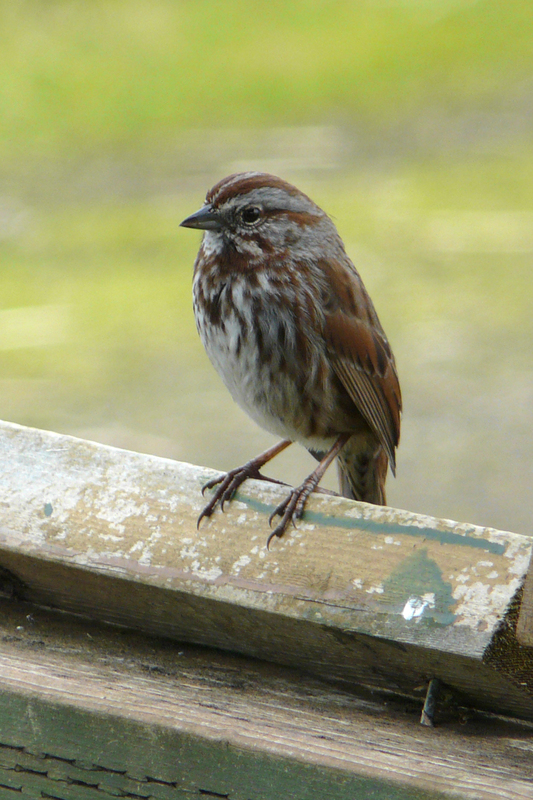 I missed the Swamp Sparrow, but this Song Sparrow was very cooperative. 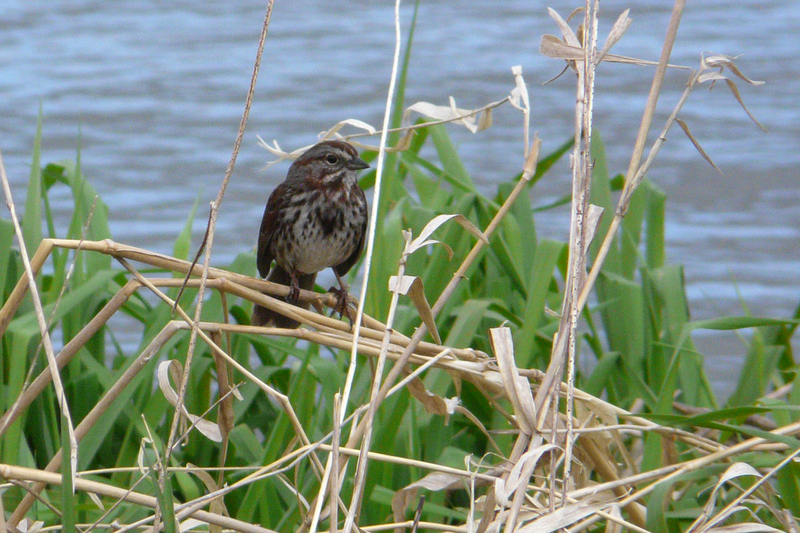 Here is the same Song Sparrow in a little more natural setting, if you consider invasive Reed Canary Grass to be natural. 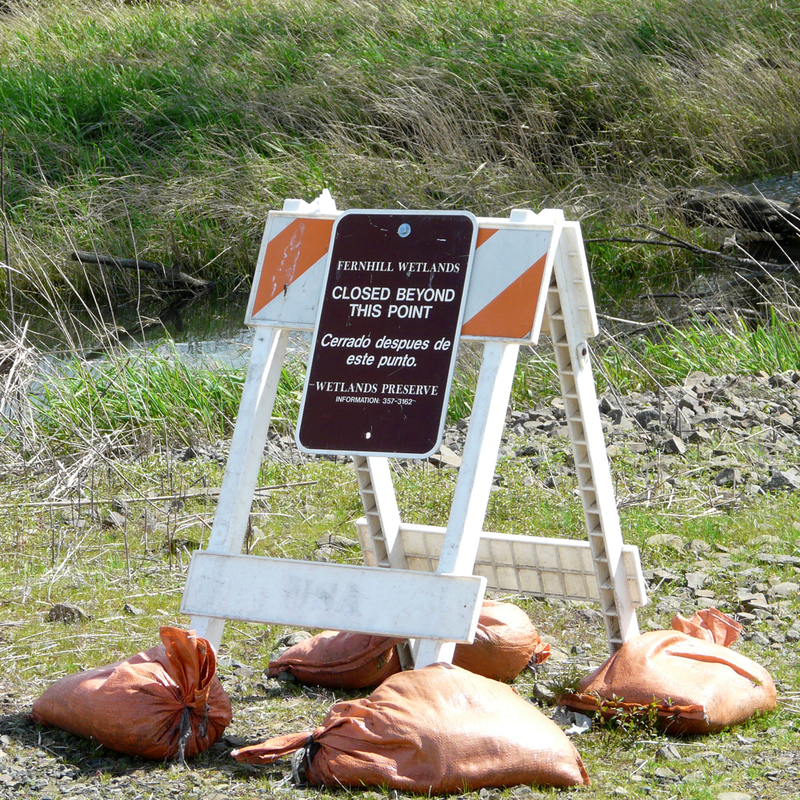 Much of the loop around Fernhill Wetlands has been blocked off, supposedly to reduce disturbance to the new Bald Eagle nest. A pair of eagles has been hanging out in this little grove of cottonwoods for years, so I would imagine they are used to birders and joggers going by, but better safe than sorry. 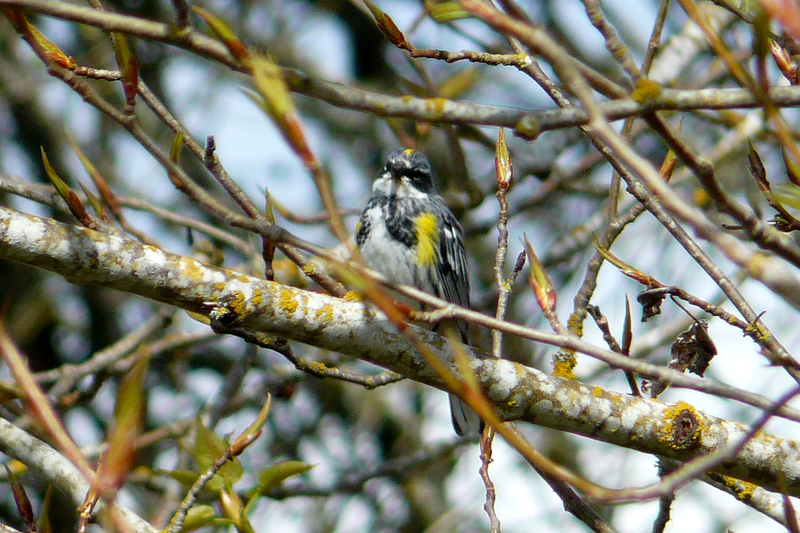 The Yellow-rumped Warblers have molted into their flashy breeding plumage. This one is an example of the “myrtle” race. 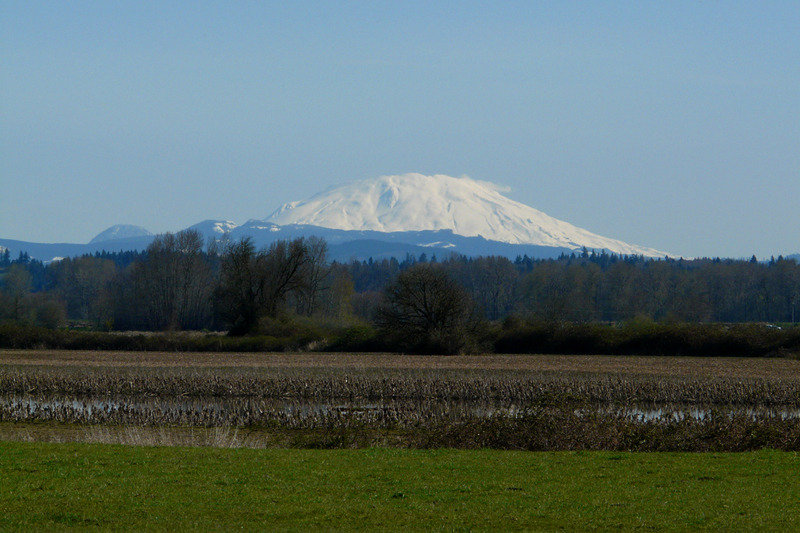 On Saturday I took some clients out to Sauvie Island for a morning of birding. This view of Mt. St. Helens is from the west end of Rentenaar Road. 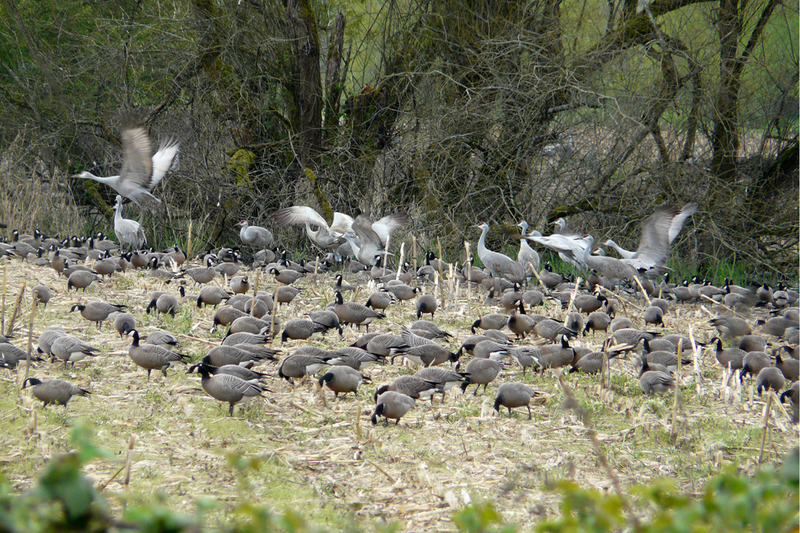 Sandhill Cranes, seen here with a flock of Cackling Geese, were common in the morning. But as the day progressed, many birds circled up on thermals and then headed north. By noon, most of the cranes were gone. Most of the sparrows seen just a week earlier had moved on. 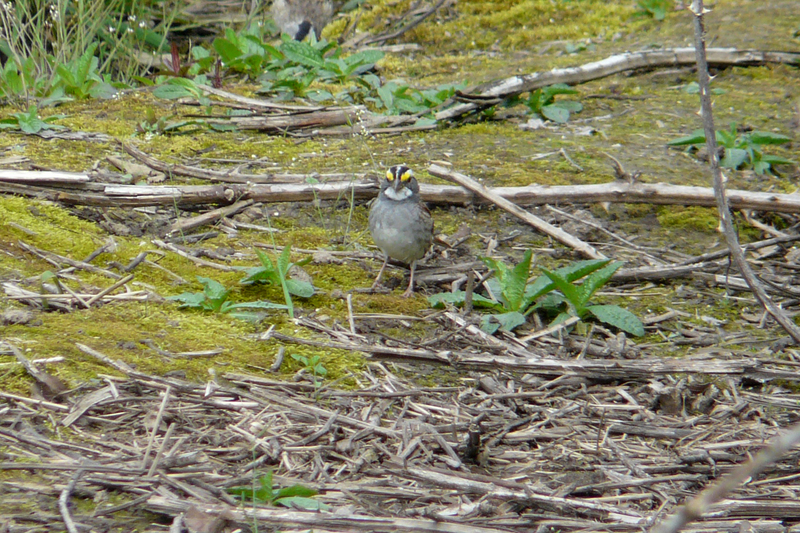 Two White-throated Sparrows were a treat. Singing Orange-crowned Warblers and five species of swallows were other good signs that migration is stepping up. I’m looking forward to the next sunny day. 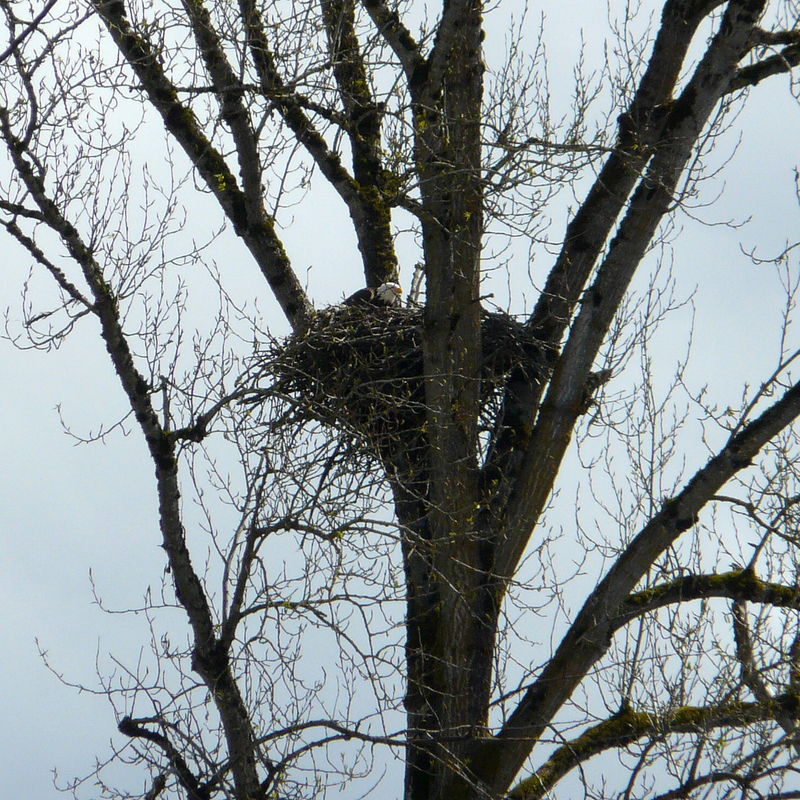 This entry was posted in OR Birding Sites, seasonal movements and tagged Bald Eagle, Cackling Goose, Fernhill Wetlands, Rentenaar Road, Sandhill Crane, Sauvie Island, Song Sparrow, White-throated Sparrow, Yellow-rumped Warbler. Bookmark the permalink. Looks like we have all been out soaking up every bit of sun we can find. All the local nature/bird bloggers are running around looking for it. I need to get out to Sauvie – looks like a good trip.